Please join us for our annual celebration of Compassion Day, to be held this year on July 5, beginning at 10am. Compassion Day is organized by the FPMT - North America, and it is an opportunity for us to come together and celebrate compassion in our lives, bringing us together in unity and harmony. 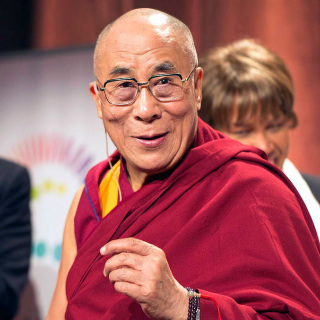 Compassion Day is formally held on July 6, the occasion of His Holiness the Dalai Lama’s birthday; however, as our center will be closed on that day, we will be celebrating it a day early. There are three parts to Compassion Day: Rejoicing, Meditation, and Compassion in Action. Our Sunday morning mediation will be led by Ven. Drolma with an emphasis on compassion. As an act of compassion, we are asking that students bring a canned food item in support of our ongoing Food Drive in association with the Second Harvest Food Bank. Another means of demonstrating compassion in action is for students to offer a donation to the Nepal Earthquake Support Fund via cash or check (an envelope will be available at the center for this purpose — please make out checks to FPMT, Inc.). 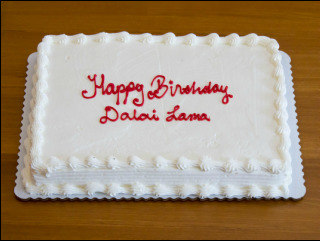 Finally, we will rejoice by celebrating the birthday of His Holiness the Dalai Lama with a birthday cake following the meditation session. Note: we will be offering prayers to control earthquakes at 2pm, so please also consider joining us at that time. — From “Compassion is of the Utmost Need”, arranged and composed by Lama Zopa Rinpoche, Kopan Monastery, 11 August 2011.